Paignton Baptist Church | The Adventure begins here! 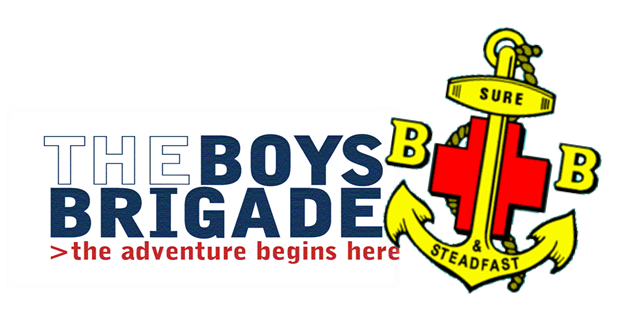 The Boys’ Brigade is a 50,000 membership strong organisation that specialises in working with churches to provide fun and inspiring local groups (known as companies) where Boys and young men can belong, achieve and discover Jesus! The B.B. is the oldest uniformed youth organisation, having been founded more than 20 years before the better known Scouts, which owes its origin to Baden-Powell, who wanted to interest the B.B. in the specifically scouting-type activities. Nationally, the B.B. 's Patron is HM The Queen, and Vice-Presidents include the Archbishop of Canterbury and Sir Cliff Richard. Here at Paignton Baptist Church our BB Company is primarily for boys and young men, aged 5 to 18, which meets during school term time, on Friday evening from 6:15pm. The programme is progressive, with activities for each age group separately. Our regular weekly programme has fun and exciting activities and devotions tailored to each age group, in a safe and friendly environment. All our leaders and volunteers are DBS checked and adhere to the BUGB safe-to-grow policy. Sure and Steadfast, is our Motto. This is taken from the Bible, Hebrews Ch. 6 vs. 19. Our Mission Statement is: Engage, Partner and Support. Providing opportunities for Boys to meet together in their communities and engage in a range of fun and developmental activities. Work in partnership with Churches, individuals and the community to develop personal Christian faith. Support the needs and aspirations of all Boys’ abilities, identities and backgrounds or cultures; providing guidance and advice. Paignton Boys’ Brigade also take part in activities such as competitions, different sports and games, various outings and camps, throughout the year, along with other local Boys’ Brigade Companies in the Devon Battalion, as well as nationally. For special events, see the Calendar. We also have a structured awards and development programme. The Company is open to all Boys aged five or more and new recruits are warmly invited in all Sections. To find out more about the Boys’ Brigade why not visit the national website. It’s full of all the latest information on what the organisation is doing at the moment. If you are thinking of joining our 2nd Paignton Company, then please e-mail our enquiries for more information, and we will get back to you with further details. Alternatively, just turn up on a Friday evening (see details above on times) and we will be delighted to see you. The Officers of the Company are the Captain, Kevin Grainger, who is also the Devon Battalion Competitions Convener, and Lieutenants, Andrew Hamilton, a deacon and treasurer of the church, and Damien Harvey, a church member who made his way up through the BB ranks. These are supported by other volunteers who assist with supervision in pursuance of the Safe to Grow policy.